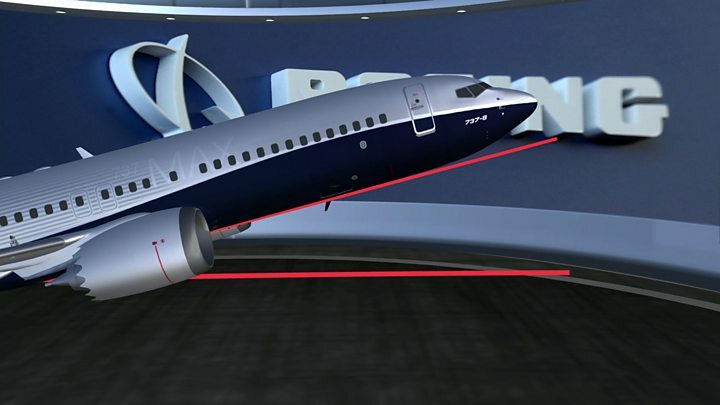 What is Boeing doing to improve the aircraft's safety? In a statement on Thursday, Boeing's chairman and chief executive Dennis Muilenburg said that following the release of the report it was "apparent" that in both flights, the MCAS software was "activated in response to erroneous angle of attack information". Earlier, Boeing said in a statement: "To ensure unintended MCAS activation will not occur again, Boeing has developed and is planning to release a software update to MCAS and an associated comprehensive pilot training and supplementary education program for the 737 MAX." The plane-maker says the upgrades are not an admission that MCAS caused the crashes. What do the 737 Max crashes mean for Boeing?